In the first article of this series, Cheesemaking Science for Beginners, Part One: Ingredient Basics, I discussed how cheesemaking ingredients and processes contribute to the flavors and textures of cheese. 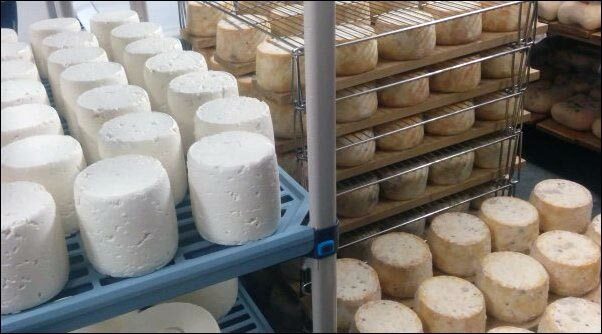 Today, I tackle what happens during affinage, the aging after making the cheese. 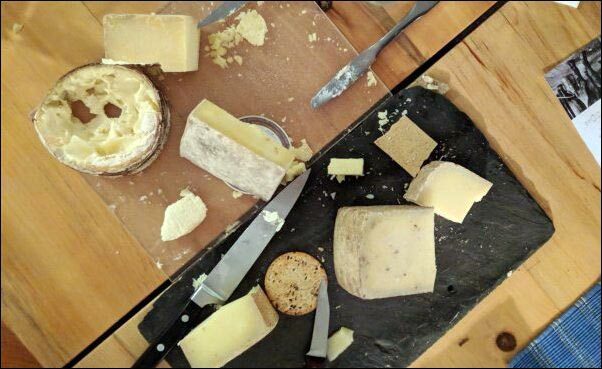 On the surface, this might seem like idle time waiting for the cheese to develop flavor, color, and texture, but there is still a great deal of hands-on time and multiple ways to influence cheese development. A myriad of factors contributes to the complexity of cheese, each expressing notes of flavor or texture that make up the distinct characteristics of each cheese. The science behind every nuance of a cheeses’ “terroir” may not be fully understood, but for the home cheesemaker, these nuances are part of the fun in experimenting with cheesemaking. The flavors and textures of cheese might begin with ingredients and cheesemaking process, but it is during affinage that a cheese’s complex character expresses itself. Fresh from the cheese press or cheese mold, cheeses maintain many of the notes of the milk. Fresh cheese is sweet, milky, and lactic. The acidification process provides a touch of sourness. It has notes related to the type of animal that the milk came from and the type of culture used. There might be discernable hints about the animal’s diet. The texture may be creamy, curdy and lumpy, or firm. Affinage is the act of waiting for a fresh cheese to mature but it isn’t that the cheese is just resting. It is aging which is about biochemical reactions that breakdown and convert the fats, proteins, sugars, and minerals in the cheese. Bacteria, environmental exposure, and careful handling chemically (some say magically) transform it into a distinct wheel of cheese with flavors ranging from salty to sweet, brothy to spicy, sweaty to caramelly, and even funky. It is during affinage when the simplicity of a fresh cheese matures into a complex wheel of cheese. Through affinage, the terroir distinguishes itself. Although a home cheesemaker is typically limited by space and unable to affinage cheeses in a totally controlled environment, each style of cheese develops its characteristics through the science of affinage. The term “Cheese Cave” is often thrown around in reference to aging cheese, but here’s the secret, a cheese cave can be something as simple as a large plastic food storage container kept in a cool room, it can be as complex as an excavated underground bunker with temperature and humidity controls and an air circulating system, or it can literally be a cave. You can even make your own cheese cave. The home cheesemaker can get started with a few simple pieces of equipment. Draining mats and racks trimmed to fit inside the storage containers. Things like sushi rolling bamboo mats, plastic grates or dish draining racks work well. A basic hygrometer (humidity measurer) and thermometer. An assortment of sponges and smaller food storage containers for maintaining humidity. Small battery-operated fans for air movement. There is a huge variety of cheese out there and the following captures broad and general aspects of aging. New England Cheesemaking, Cultures for Health, and The Cheesemaker are excellent online sources for specific recipes and aging instructions. Fresh Cheeses: As the name suggests, fresh cheeses are not aged. These cheeses are high moisture, so they do not age well. Although it is possible to mold-ripen some fresh cheeses for a short duration, most fresh cheese should be refrigerated and consumed within two weeks. Examples are Chevre, Mozzarella, Feta, and Fromage Blanc. Aging Bloomy Rind Cheese or Mold Ripened Cheese: During the acidification phase of cheesemaking, molds such as Penicillium Candidum or Geotrichum Candidum are added to the milk. Aging starts with the draining. The curds are drained at a relatively warm 70-75°F. The higher temperature encourages sufficient drainage and consolidation in the mold. Next, the cheeses are lightly dry-salted on the surface to encourage additional moisture to drain off and to stabilize the acidity. This is also when ash is applied to goat cheeses to improve aging. The surface is also where the Candidum grows into a fuzzy white or blue/green coating because it is exposed to oxygen. However, specific aging conditions—cool (50-56°F) and humid (90-95% relative humidity) but no standing water or condensation—are necessary to ensure proper mold growth and protein breakdown. The exact conditions will depend on the cheese being made. For the home cheesemaker, these conditions can be accomplished in a plastic container about three times the size of the cheese. The container should be fitted with a perforated draining mat that keeps the cheese out of the water. A moist sponge inside the container keeps the humidity up. It is up to the cheesemaker to check the cheese regularly and ensure the conditions are maintained. Once the fuzzy bloom appears, the cheesemaker can keep aging the cheese in these conditions, flipping and patting the cheese regularly, or they can wrap them to age slower in a cooler space. Mold-ripened cheese may be ready in as little as 14 days or they may be aged slower for up to two months. 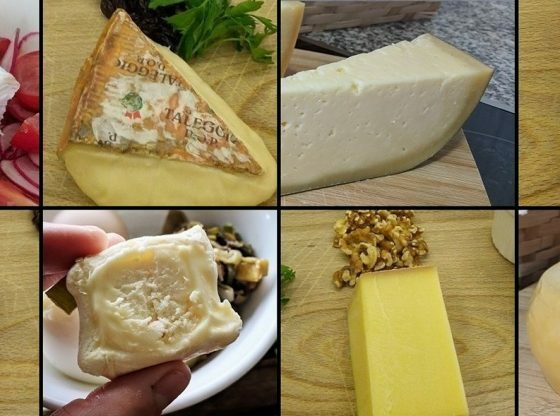 Aging Washed-Rind Cheese: These cheeses have a wide variety of flavors and texture which arise from the aging process. They range from a hard and nutty Gruyere to semi-soft and slightly rubbery Taleggio to the potent and gooey Epoisses. While Gruyere is a washed-rind cheese, the soft pungent ones are more applicable to the aging described here. For washed-rind cheeses, bacteria linens are often added to the acidifying milk or used in the wash during aging. Unlike mold ripened cheeses, these cheeses are often pressed to drive off additional moisture and consolidate the curd into a smooth paste. During pressing, the cheese is allowed to continue acidifying until the desired pH is reached (pH of 5.2-5.5). Next, the cheeses are salted in a cool, saturated brine bath for a few hours before being turned out onto aging racks or containers. The temperature and humidity of the aging space depend on the type of cheese being made, but they typically range from 52-65°F and 87-95% relative humidity. After a few days, a fuzzy mold will develop on the surface as it did with the mold ripened cheese. However, in this case, the home affineur will coax the cheese’s flavors and texture by washing the surface and modifying the temperature and relative humidity. The cheeses are wiped down with a saline solution that may have additional mold and bacteria added. The washing and wiping prevents the surface mold from fruiting, keeping them in a state of sprouting. It is this biochemical process that contributes to the different flavors, aromas and textures od washed-rind cheeses. The process of wiping, washing, and flipping is done as frequently as daily for some cheese while others only require it a few times over a multi-week aging process. It can take 5 to 20 weeks for a washed-rind cheese to ripen. 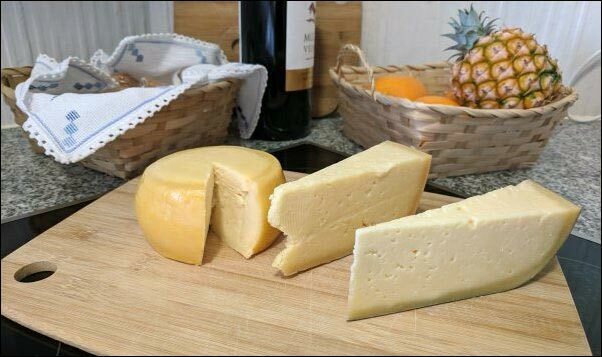 Aging Cheddars, Semi-Hard and Hard Cheeses: Although the process of cheddaring sets cheddars apart form other semi-hard and hard cheeses, for the purposes of aging it is like those cheeses. Although these cheese age the longest and can develop complex flavors and textures, they are probably the most hands-off and forgiving in the aging process. Once the curds are pressed into a tightly consolidated paste, the wheels of semi-hard and hard cheese are typically salted in a brine for several hours at room temperature. Cheddar, on the other hand, is salted after cheddaring and before pressing. From there, the home affineur has to make a choice on how they will proceed with aging. Waxing the surface of the cheese ensures the cheese will not lose moisture and allows for a hands-off aging process. The downside is that some complexity of flavors and textures may be lost. The cheese may be wrapped with bandages that are applied using lard or butter. This allows the surface of the cheese to “breath” while protecting the cheese from some moisture loss. A natural mold covering typically develops which may lend itself to the more complex flavors of the cheese. Finally, a totally natural rind may be preferred. In this case, the cheese is unprotected and loses moisture. This may develop in a dry, harder rind and complex textures in the paste, but it requires more care in maintaining the temperature and humidity levels as well as cleaning and checking the cheese. Hard cheese may have additional steps for aging. They may be maintained at a warmer temperature early in the aging process so holes, like those in swiss, may develop. The cheese may be stored at different temperature and humidity for periods to encourage surface mold growth. Or, as in the case of Gruyere, the surface may be washed at certain intervals. Ultimately, these cheese require a patient affineur because they can age for months or even years. Aging Blue Cheeses: Like mold ripened and washed-rind cheeses, molds such as Penicillium Roqueforti are added to the milk during the acidification process. However, unlike those cheese, the mold develops inside of the cheese rather than just on the surface. In this case, the goal is for the curds to be dry, but only loosely consolidated to allow for mold growth throughout the paste. Blues are heavily salted compared to mold ripened and washed-rind cheeses and the salt is applied multiple times over a few days. Blues also like high humidity (80-95% relative humidity), cool temperature (50-55°F) and good air movement. Since they are high moisture, they require frequent flipping to avoid cracking and bulging. Once the cheese starts showing blue-green molds on the surface, they need to be punched with sanitized, thin, metal probes. These holes allow air to circulate through the paste so molds can grow inside the cheese. The blue-green veins, like those of Gorgonzola, spread through the small openings left between curds. The amount of perforation depends on the recipe and the affineur’s preferences. The cheese will age for 90 to 120 days. Aging Cheese is as much a science as it is an art. The fun part of cheese aging is that if it is done safely and with good sanitation, there is no wrong answer for the final flavors and textures. Trying different techniques can mean new and delicious cheese-style that becomes a cheesemaker’s signature flavor. Kimi Ceridon is a freelance writer and culinary scholar in Massachusetts. Follow her adventures at NoReturnTicket.kceridon.com.